It’s another major milestone for the XRP community as the token officially makes its maiden appearance on Huobi OTC on Mar 16, 2019. With this new development, the number of cryptos trading on Huobi OTC has gone up to eight. Bitcoin, Ethereum, Tether, EOS, Huobi Token, and Huobi stablecoin (HUSD) were already available on the platform. #Huobi OTC #announcement is now here!$XRP @Ripple will launch on #Huobi #OTC at 10:00 6 March. How Does OTC Trading Work & Why Do We Need It? 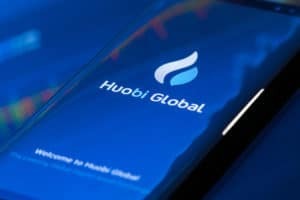 Huobi OTC is Huobi Global’s peer-to-peer crypto trading platform. XRP’s availability on the platform will further add to its stability as OTC trading usually plays an important role in restricting abrupt price fluctuations caused by market whales. Basically here’s how it works: If a trader is holding a large volume of an asset (XRP in this case), it’s not ideal for them to sell it all at once using regular trading avenues. Because dumping large volumes of an asset within a short period of time could cause its price to plummet. That, in turn, will adversely impact the seller’s profit margins, or may even cause a loss (in addition to affecting the broader market). Similarly, buying large volumes of an asset in a short period of time will inevitably lead to a sudden price spike, affecting the whole market including the buyers themselves. This is why exchanges usually have various checks and balances to counter such manipulative practices that lead to destabilization of the market. With OTC trading, the seller can contact the exchange and convey their interest in selling a large volume of the asset they’re holding. The exchange will then match the seller with the buyer(s) interest in purchasing in bulk. The exchange will then facilitate a negotiation between the buyer and the seller and arrange the trading in exchange for a commission. 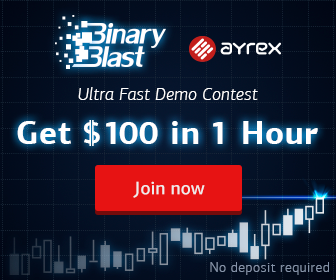 Traders can buy and sell XRPs by going to otc.hbg.com and then logging into their account. The rest of the process is just as simple. Once you are redirected to the order page, confirm the amount and your payment method again to go ahead with the purchase. XRP Goes Live on Huobi OTC Starting Today was originally found on copy trading cryptocurrency | Blockchain News | Bitcoin News | blokt.com.